A R&D project which aimed at the development and test of textile-based sensors was recently completed by TITV Greiz. Sensors are a basic requirement and the main initiator when textiles have to be equipped with intelligent functions. 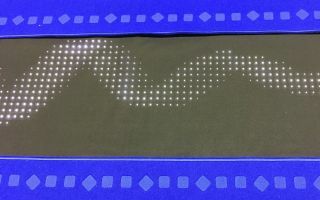 Textile-based sensors represent an interesting alternative to conventional equipment since their sensing capabilities arise from the textile material itself. 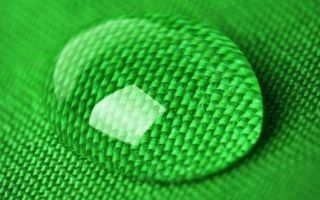 Especially 3-D textiles, such as knitted spacer fabrics or pile woven fabrics, offer empty space for the integration of sensors and possess an elastic resilience force which can be advantageously used for many sensory applications. On the basis of a current analysis of the smart textiles market, the focus was placed on measurements of the contact pressure with emphasis on prospective applications in medicine. In addition textile-based temperature and moisture sensors were included in the investigations since they comprise a suitable completion for many adjacent uses. In order to produce textile-based sensors, fibres or bundles of fibres, ribbons, and other textile substrates were furnished with coatings which act as a resistive signal converter. These sensory coatings can be tailored to any desired sensing capability whereas the textile substrate remains nearly unchanged and keeps up its textile typical behaviour. The variables to be measured were converted via a resistance measurement into an electrical signal. The textile-based sensors were manufactured using production techniques like weaving, knitting, and braiding. 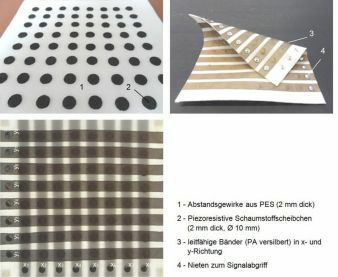 In order to generate a spatially resolved sensor signal a network of electrically conductive threads was incorporated into the textile. The sensorized area remains free from non-textile materials. Force and pressure measurements were carried out using piezoresistive signal converters, moisture was measured via resistance changes caused by hygroscopicity or swelling, and the thermo-electric effect was used for temperature measurements with woven thermocouples. A further part of the R&D project aimed at the connection between sensors and evaluation units, at the minimisation of influences caused by environmental conditions and cross-sensitivities as well as at the reproducibility of the sensor characteristics. Textile typical connection techniques such as tailoring, embroidery, snap buttons, and rivets were applied to transmit electrical signals and for contacting with evaluation units. Solder connection were made using solder alloys with low melting point, e.g. 138 °C for a tin-bismuth solder. The textile sensors were finished with partially applied coatings made of polymer pastes. Typical exposures of textile sensors to mechanical and thermal load were simulated in accelerated tests on laboratory scale in order to derive some reliability-enhancing measures. Textile-based sensors provide many opportunities to develop new products with functionalities exceeding the capabilities of conventional sensors with respect to both technical parameters (size, flexibility, response time) and manufacturing costs. The high integration depth of sensor devices and textile opens up new application fields and increases the acceptance of early adopters especially when sensors have to be worn proximal to the body. Textile-based sensors are the starting point for many innovations when physical properties like force, pressure, temperature, shape change or moisture have to be supervised in load bearing belts, medical textiles, wellness requisites, sporting goods, automotive interior, and smart clothing. 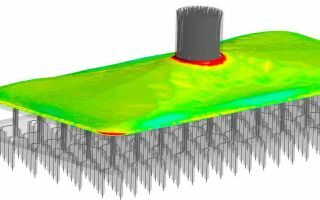 First applications were put into practice in the form of woven and braided sensors for the two-dimensional supervision of load and moisture in buildings. The final report of the IGF project 18435 BR is available for the general public in the Federal Republic of Germany. The IGF project 18435 BR of the Research Association Forschungskuratorium Textil was funded via the AiF as part of the program to support Industrial Collective Research (IGF) by the Federal Ministry for Economic Affairs and Energy on the basis of a decision by the German Bundestag.